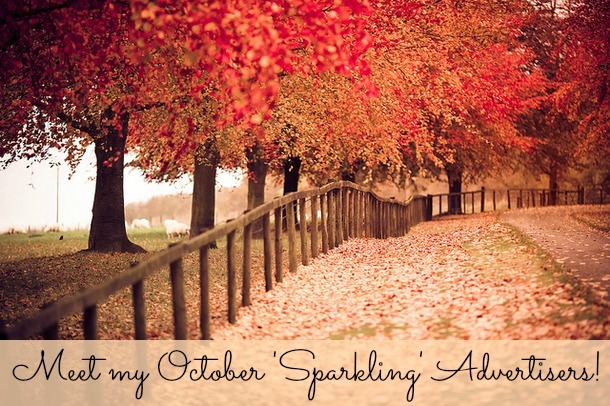 HaySparkle: Meet my October 'Sparkling' Advertisers! Meet my October 'Sparkling' Advertisers! As we are nearing the end of October I thought it was about time that you lovely lot got to know my gorgeous October 'Sparkling' Advertisers a little bit more, hopefully you have seen their blogs sitting in my sidebar and have already had a cheeky little peek and found some great, new reading material... arrrhh I love finding new blogs to read, it's so inspiring and often sends me into wish list overdrive ha ha... Anyway enough of me rambling, please let me introduce to you all my October Advertisers! The ramblings of a 20 something girl who has a slight addiction to shopping and make up! A beauty, fashion and lifestyle blog full of reviews, look books and chitter chatter! NOTD | Barry M Duo I'm Loving! Beauty UK Halloween Makeup Must Haves! Rimmel Foundations! My Top Picks!